No matter how experienced we think we are, fresh perspectives will help us grow. Gareth D Morewood recaps his experience of attending the inaugural New Voices. Buoyed by the success of my first #BrewEd earlier this month, it wasn’t long before I was preparing for another new experience at an education event. I left my home in North Wales in the early hours of the morning, as the remnants of Storm Callum passed overhead. When I arrived in London I was pleasantly surprised by the sunshine, but also tired and worried that this may prove to be one event too far. But how wrong I was! The first New Voices event (#NewVoices18) was a momentous day, an opportunity for me to broaden my understanding of the wider educational debate (I am conscious that the majority of my own events are quite bespoke) by engaging with a new range of ideas. The conference described itself as 'a new educational conference intended to give a platform to previously unheard speakers from around the UK.' 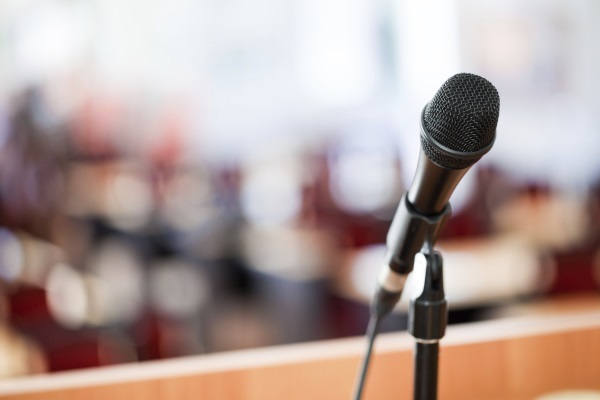 By passing the mic to those colleagues who do not speak regularly at conferences, or publish articles, blog posts and the like, the day promised a range of fresh perspectives on pedagogy, leadership and inclusion to name but a few. We were fortunate to have Jane Manzone (@HeyMissSmith), Ruth Luzmore (@RLuzmore) and others as the organisers of the event, and the Centre for Literacy in Primary Education (@clpe1) as a truly fantastic venue. The event featured a diverse assortment of speakers, none of whom I’d met in person. With two, Rachel Rossiter (@rossi64) and Taneisha Pascoe-Matthews (@Mellow_Pascoe), I’d had some very positive interactions on Twitter, so I was eager to hear them speak (on the principles of cognitive science and including pupils with autism, respectively). Thankfully their sessions didn’t clash! In addition to the presenters, it was a pleasure to catch up with several colleagues, parents and carers who were also delegates; in fact, the event’s success (or at least the proof of the concept) could be demonstrated by the number of experienced professionals who came along as delegates to listen, think and discuss – not to mention attend the fabulous after party! I could never do justice to the content of the day in a single blog post. However, I thought it would be useful for those who didn’t attend to extract some key ideas from the sessions I was able to hear, and hopefully provide some prompts for further debate. I had a good idea of what Rachel’s session would cover from some correspondence we had before the day. I was on hand to load her presentation on to the laptop and click through the slides – the role of glamorous assistant was something I was delighted to assume! Despite the nerves, this was a thought-provoking very well composed session. Drawing on her personal experiences as a teacher, teaching assistant and SENCO, Rachel was able to articulate things that had worked; real examples that demonstrated clear impact and positive outcomes for young people in her classes. There were two key messages. The over identification of SEND often limited outcomes and aspirations. Good quality first teaching was still good teaching but what we now call cognitive science principles – my take is that quality teaching is cognitive science, and always has been. There is no way I could do justice to the sophistication of the arguments framed within the session, but speaking to a packed room, there was little Rachel said with which anyone could disagree. For those of us who have been SENCOs for some time, we all remember the perverse incentives for labelling pupils ‘School Action Plus’ as additional funding came as a result. And don’t even get me started on ‘moderate learning difficulties’ (MLD) – and… relax, breathe! This was an important starting point for Rachel’s message: with over identification came conditions, often resulting in lower aspirations and poorer outcomes. After highlighting an issue that is still prevalent among many schools, Rachel talked through real examples of high quality teaching and support that are, as the big reveal confirmed, simply what we would now call cognitive science principles. It was not unlike a magic show, in which the rabbit was good teaching, and the hat concealing it from the audience was the identification of need. Some of my young colleagues may have referred to this as ‘mind blown’; indeed, the gathered audience were hanging on every word. I have considered this a lot since the day and although I have most recently always included cognitive science principles and a wider understanding of inclusive teaching in training and discussions, it has reframed my thoughts further. I see things quite differently now to how I did as a 21-year-old NQT in the 90s; education is different, and rightly so. I will elaborate more on this in future blogs as my thoughts develop further. Conscious though I was not to advance Rachel’s slides too quickly during her presentation, I felt that I was a competent Debbie McGee to her Paul Daniels. It was great to see this first-time speaker speaking so passionately, and leaving delegates with so much to think about. In her session, Taneisha Pascoe-Matthews drew upon her Jamaican upbringing, her professional life as teacher and SENCO, and perhaps most importantly, her experience as the mother of an autistic boy. 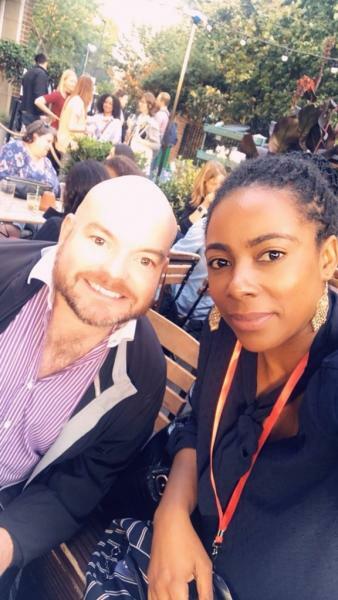 I have kept in touch with Taneisha over the last few years, sharing research evidence and helping wherever I could, but New Voices was our first opportunity to meet in person. I was delighted to have recommended her as a presenter, something for which all of us who attended the session would be grateful I’m sure! Any conference regular will tell you that the after-lunch session can be the most difficult, but Taneisha’s calm, considered approach drew the audience in. She articulated her personal experience and depth of knowledge perfectly, emphasising the importance of adaptability and understanding to her son’s success (he had just begun communicating verbally during this last year). The guiding principle in Taneisha’s session is that small changes can make a big impact. We know this to be true: the little adjustments or shifts in understanding that come from working with families can make a massive difference to the experience of pupils with autism in our schools. Taneisha used many real examples from a parent’s and SENCO’s perspective, which brought to life the research she quoted and demonstrated a sound understanding of the solutions we need to the challenges that exist every day. Taneisha is a veritable champion of BAME women, SENCOs and parents everywhere, and I have no doubt that we’ll see her speaking again over the coming years. Her message is simple: the research shows that inclusion is possible, her own professional experience shows how much we can do, and her personal experience demonstrates to us why we should. I have a general wariness of data, not least because of our capacity to depersonalise young people – especially those with SEND – by relying on the numbers and not the names. So I have to give credit to Naveed Khan (@mrnnkhan), vice principal at a secondary school in London, for coming forward to describe the journey his school has been on. From pile after pile of data books for each year group, toiled over in meetings, to a model of personalisation and a reduction in the number of data campaigns. I became so invested in his honest and concise appraisal of his school’s ongoing work that I actually forgot that the session was supposed to be about data – something close to a miracle I’d say! It has been well documented, and covered in a recent post, that the tide is turning away from schools obsessing over attainment (or results), in favour of curriculum content and preparation for life instead. With Her Majesty's Chief Inspector, Amanda Spielman unexpectedly present as an attendee at New Voices, I think this was an important session for us all to consider. We’re all familiar with the mantra that ‘a good strategy for SEND is a good strategy for all’. But New Voices proved (if any more proof were needed) that discussing inclusion can be ingrained in the mainstream educational debate. Built in, not bolted on. For the opportunity to meet faces new and old, and more importantly to sit and learn, I’m grateful to everyone who made this first event possible. But my greatest praise is to everyone who came forward and spoke up. Every day I learn something new, and at New Voices my learning and thinking was exponential. I have no doubt that the event had been massively beneficial to those who spoke, but I would like to add that my own personal development as a delegate has been truly amazing too – more to come for sure, after a little breather during half term. Morewood, G. D., Humphrey, N. & Symes, W. (2011) Mainstreaming autism: making it work. Good Autism Practice Journal 02.12.11, 62-68.